Like most great innovations, noissue was born out of necessity. Frustrated by the lack of packaging options, noissue began with a simple mission: to make premium sustainable packaging that respects the environment, is accessible to businesses of all stages and makes your products look damn good. After setting out to fill that gap in 2017, business is booming and the team remain committed to cutting out the unnecessary issues that can crop up with custom production. We sat down with Auguste Gruar from noissue to find out how they’re making packaging easier and putting customers front and centre. Shippit: Your website is beautiful. What platform are you running? Auguste: Magento with a few custom-built apps. Shippit: In an age where competition is fierce, how important is personalisation? How do noissue carve out their niche? Auguste: In our experience, brands often focus too much on tailoring the online experience, that they forget about the offline. While online is obviously extremely important, especially in eCommerce, there is a real opportunity to make a lasting impression by creating an unforgettable unboxing experience. 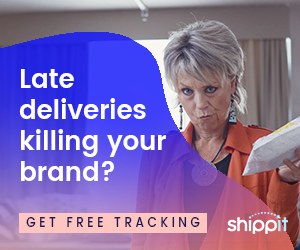 With so much emphasis placed on acquiring customers, online retailers don’t give enough thought to what happens after someone places an order. That’s where noissue adds value. By allowing brands to simply create, design and order online we’re creating a custom product that makes their product stand out. Unlike many other printed products, ours are not harmful to the environment. 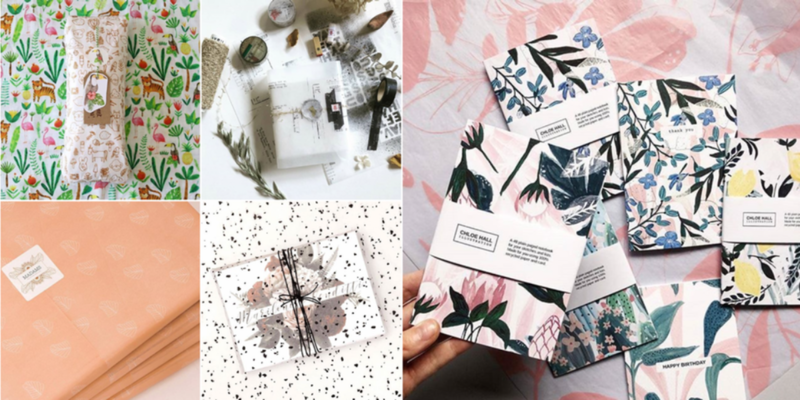 By using soy-based inks, compostable mailers, FSC Certified Paper, we’re honing in a niche that’s not only customisable but environmentally friendly. Shippit: With so many platforms, tools and integrations – what are the top 3 tools you can’t live without? Auguste: Slack, Asana and Google Drive have become pretty integral in our day-to-day. Shippit: In an age where it’s practically raining data, knowing which metrics to manage can be really tricky. Is it conversions, click through, repeat visits etc. what digital metrics matter to you? Auguste: In the past, we went through a stage of having quite a few dashboards which wasted a fortune of time. I think there’s a perception that you need to dig deep into data to find insights, but this method didn’t really work for us. At the moment, we don’t overdo it and focus on the usual suspects like conversions and click-throughs. Ultimately, data plays a role in our business, but we don’t let it dictate everything. Shippit: You guys offer free worldwide shipping. Yay! How do you manage and monitor cost recovery? Auguste: Being a global business, worldwide shipping is a deal-breaker for us. But we do need to keep an eye on the situation to make sure it all adds up. We have great real-time reporting with all our warehouses and keep a very close eye on rates. Given our volumes, we’re able to leverage that and negotiate great rates with our carriers. We’re also plugged into an extensive range of freight partners which helps us get our products from a to b without costing the earth. We can then pass those benefits onto our customers which keeps them coming back and allows us to offer a truly global service. Shippit: How do you manage returns on personalised products? Auguste: One of the big detractors of custom products is the confidence to know you’re ordering the right thing. As most of our customers are repeat buyers, it’s so important that we offer free returns. Having the flexibility to send it back gives our customers the confidence to go custom and in turn, gives us loyalty and happier customers. Auguste: … standing out from the crowd. Interested in finding out more about noissue? You can grab their products on their store, or you can register your interest for the upcoming Shippit and noissue collaboration – find out more here. How to make your pick & pack process more efficient. With customers buying clothes just for the 'gram and instantly returning them, here's how to keep on top of the 'snap and send' trend. In a world where you can have a car delivered at the touch of a button, customer expectations are constantly changing. Are you keeping up with them? Inventory management matters. See how you can keep tabs on your inventory and improve your cash flow with these 7 simple steps. Ready to simplify and save ? Powering delivery for the biggest names in Australia including Sephora, Glue Store and UNIQLO.